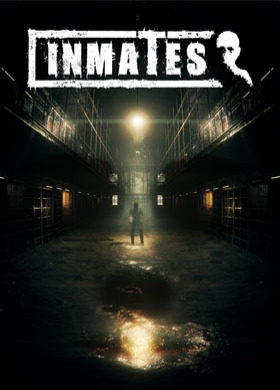 NOTE : Activation key must be used on a valid Steam account, requires internet connection.About the game	Inmates is a story-driven, atmospheric psychological horror game. Featuring interactive exploration in a suffocating location, mind-bending puzzles and disturbing imagery. You wake up in a run-down prison cell and have no clue how you got there. You’ve convinced yourself this is all just a n… ightmare... The most frightening thing about Jonathan’s nightmare is that he may not be dreaming... Inmates is a psychological horror game with puzzle elements in which you must find out the truth behind your confinement and uncover the dark secrets of the run-down prison you find yourself in. You’ve awoken from a nightmare, Jonathan. But did it truly end? You are in a seedy prison cell and have no clue how you got there. You’re terrified and confused, but you also feel something else: a painful sense of familiarity. You’ve convinced yourself this is all just a bad dream. Unfortunately, according to the voice coming from the old radio, things are not as simple as you’d like them to be. Delve deep into your psyche while trying to stay sane, in this most disturbing of horror games. Key features Interact with the environment to unravel the truth Intense and mind-bending puzzles Suffocating setting Disturbing imagery High-quality graphics powered by Unreal Engine 4 Controller support Estimated game length: 3-4 hours system requirements Windows - MinimumOS: Windows Vista / 7 / 8 / 10 64 bit (32 bit NOT supported! )Processor: Intel Core 2.6 GHz or equivalentRAM: 4 GB RAMHDD: 2 GB available spaceGraphics card: Integrated video (Intel HD 4000 or later), 1 GB shared memory Sound card: DirectX Compatible Audio Additional Notes: Version 11Inmates © 2017 Davit Andreasian. Developed by Davit Andreasian. Licensed exclusively worldwide to and published by Iceberg Interactive B.V. All brands, product names, and logos are trademarks or registered trademarks of their respective owners. All rights reserved. Made in Armenia.